as an integrative cancer consultant. 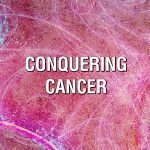 The objective is to integrate healthier approaches to conquering cancer into any medical path someone has chosen, ie conventional medicine, integrative, alternative, complementary. I am a Certified Natural Health Professional, Certified Life Coach, Certified in Jin Shin Jyutsu (JSJ) which is the Japanese art of using your own energy for health and healing, and completed the respected Smith Center program for Integrative Cancer Navigation for Patients. In addition I work with personalized guided imagery (GI). I am here to help you Live Your Life! successfully and healthily. That objective applies to everyone, whether currently healthy or dealing with cancer. How is that accomplished? 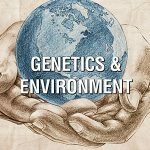 The science of epigenetics informs us that the physical and emotional milieu in which one functions significantly affects one’s health. Therefore clients may elect to add Life and Health Coaching, energy healing meditations and personalized guided imagery to their consultations. 1. I support you in navigating life’s challenges and relationships in ways that solve problems and benefit you, rather than heightening your stress which undermines your health. 2. We work as a team. My objective is to inform and empower my clients on many levels so they can make the best decisions for themselves. 3. We focus on what is necessary to improve and enjoy life, regardless of the health or interpersonal issues one may be dealing with. 4. 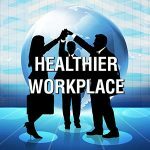 We work together so health, even serious health issues, don’t have to be the entire focus of life. 5. I support you with experience and different views and tools in order to retain and regain health. 6. I have an overriding belief that people don’t have to die from cancer and health can be retained. 2. conquering disease and cancer by addressing the whole person. Cancer is chaos that the body has not been able to control. 3. Releasing old patterns – conscious or unconsicous – that harm relationships and harm ourselves. These patterns limit our success in our own life, in business and with others. 4. Energy work that can be used in any setting. It releases anxiety, lowers stress, promotes healing and rebalances our body. b. “causes” of cancer by integrating healthier approaches into whatever paradigm someone is working with, ie conventional medicine, complementary, alternative, integrative. c, incorporating energy medicine such as Jin Shin Jyutsu (JSJ) into one’s health plan. Energy Medicine is highly regarded, used in many conventional medical settings and is becoming more well-known. It has a long successful history. JSJ is one powerful form of energy medicine. It helps the body to remove energy blockages which cause pain and lead to disease. 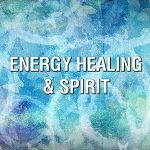 The energy healing benefits of JSJ are for everyone. Your body individualizes the energy work and works with it where you body needs it. It is: a. very relaxing b. supports sleep c. lowers anxiety, calms the mind and nervous system d. can be done inconspicuously anywhere. e. requires no needles or equipment. JSJ is often used in oncology settings to mitigate the side effects of traditional therapies. It helps one enter deeper healing sleep and calms the systems of the body down. 5. a proven professional they can speak directly with , and be supported by, with regard to their life and health issues. 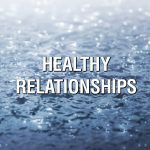 3. have a life and health plan for the present and the future that is easy to implement and cost effective 4. refocus our “life and relationship lens” so relationships can change for the better. That includes the relationship with self. . In order to support the immune system maximally, stress and life issues must be addressed. Life coaching is worthwhile for individuals and families, whether they are dealing with cancer, other disease or challenging life situations. I consult nationally and internationally on Skype, FaceTime and phone. The amount of time a client needs depends on what they want to address. Consultations are $200 / 60 minutes. Additional time is scheduled in 15 minute and half hour increments. What are the consultation parameters? 1. We work together to make life choices and improve relationships. 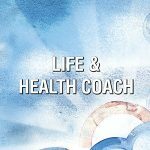 In private consultation, we tfocus on what is undermining your health and/or relationships, including your relationship with self.. By utilizing my strong intuition and identifying these issues, we move forward to removing obstacles and provide you what you need to easily take positive action. 2. Oftentimes one or two appointments is sufficient to achieve your objectives and empower you with your objectives. I don’t accept longer than 1.5 hour appointments at one time. 3. Generally, the first appointment is 1.5 hours to provide you the time to drill down and begin the release and changing process. For some, one appointment is sufficient. You decide if you want or need another appointment. Jin Shin Jyutsu and Guided Imagery are offered separately and take about 30 minutes each.$100.T hey include 5 to 10 minutes of consultation time. Either JSJ or GI can be combined with hour or hour and a half appointments. Most clients are referred by doctors and others I have supported in their journeys back to health. I consult on Skype, FaceTime and by phone. Many have said that this educational website is a gift to those with cancer and those who love them. There is also excellent information for those who want to get and stay healthy, even if they don’t have cancer or disease. You will also find interviews, articles, and presentations from cancer conferences and research on this site on the “about” section. For consultations, speaking engagements, presentations or articles, you can call Adrea at 415-308-4818 PST in California or email adrea@adreabrier.com.